I just caught an interesting article about a strange tradition that used to be held in the United States in the early 1900’s. Linton Weeks, over at NPR news, has dug up an old tradition that many have forgotten, or never knew about. Thanksgiving Maskers, Ragamuffin Parades, or Parade of Fantastics, call them what you will, judging by the photos on Mr. Weeks’s post, Thanksgiving used to look a lot like Halloween. So many people took part in this tradition that the mask making industry could hardly keep up. “The busiest time of the year for the manufacturers of and dealers in masks and false faces. The fantastical costume parades and the old custom of making and dressing up for amusement on Thanksgiving day keep up from year to year in many parts of the country, so that the quantity of false faces sold at this season is enormous.” – Los Angeles Times, November 21, 1897. The young masqueraders would slink along the streets pan handling for pennies, apples, or other goodies, when asking “What’s for Thanksgiving?” It would be no surprise if you found yourself handing over a delicious candy to a faux Charlie Chaplin doppelganger or a creepy young lady with a nylon screen over her face for a mask. Ahh memories. Good stuff from Linton Weeks, and I highly suggest you check out his article to discover more of the forgotten truths and traditions of Thanksgiving in America. Click here to check out the strange side of a beloved tradition. In the world of HP Lovecraft; the creaking of a door, a shadow passing in your periphery or a bizarre siting at sea could mean any number of things, natural or supernatural. The massive sea god, Dagon, may have really existed in a primordial age. Whole civilizations of alien beings may have coursed across the Earth hundreds of millions of years ago. The ability to reanimate the dead may actually be possible. 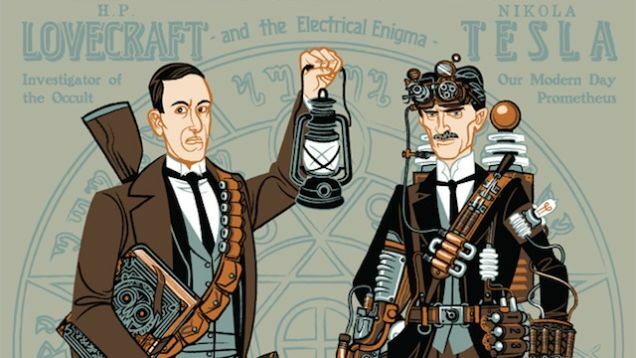 Lovecraft wrote about these possibilities at the turn of the 20th century. They thought he was a fiction writer. He wasn’t. Everything he wrote about exists, and now Lovecraft’s distinguished Miskatonic University has a Southern California location. Miskatonic West follows the exploits of Sousaku Kaos, the head of Miskatonic’s biology department, and his band of intrepid students as they pull the curtain back on a world of monsters, magic and mystery inspired by the works of H.P. Lovecraft. Helping the LAPD with “cases of interest,” Kaos and his students must uncover a plot to awaken Dagon, the ancient ocean god, by the Esoteric Cult of Dagon, before it and an army of deep ones invade the West Coast. 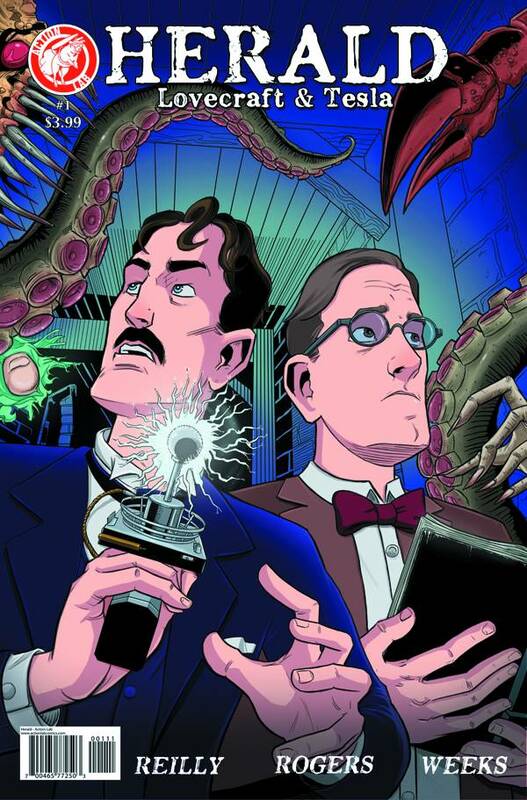 In making Miskatonic West, the creators hope to bring the same verisimilitude and realism that Lovecraft brought to his writings of close encounters with the monstrous and supernatural. With an eye towards cinematic integrity, we want to bring the world of Lovecraft into an emotionally honest light and capture what it would be like to encounter things that should not be and the toll it might take on one’s sanity. If you are a Lovecraft fan, a fan of monsters, mystery, suspense and human drama join us in making this web series a reality. Thank you. I am personally looking forward to viewing this when some episodes are off the ground. Though it was narrowly fully funded, I believe this series could contain some quality Lovecraftian goodness. But i’ll let you be the judge of that. Below is the teaser/trailer for the series. Let me know what you think, or drop by their Facebook page and give them some feedback. If you have checked out Miskatonic West , let me know what you think by leaving a comment. And if you like all the tasty bits we gibber about here, become a follower or submit to receive email updates with every new post! Check us out on Twitter @UnspkbleGibberr and on Facebook at http://www.facebook.com/UnspeakableGibberer.